Make a fine addition to your wardrobe collection by opting for this polo T-Shirt from the house of Rex Straut Jeans. It features a short button placket at the front that makes it pretty convenient to wear. 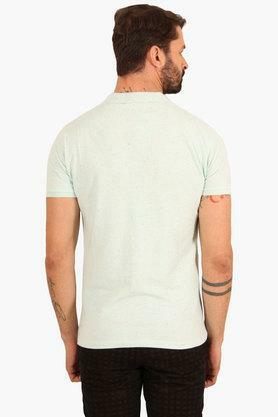 Besides, it comes with a printed pattern which lends it a trendy look. 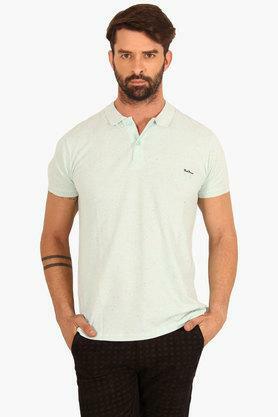 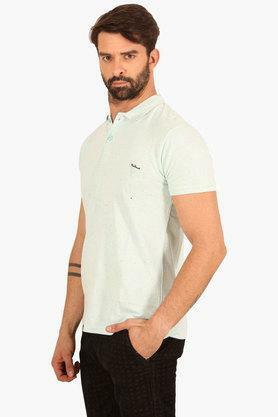 Be the fashion forward man among your friends by wearing this polo T-Shirt. 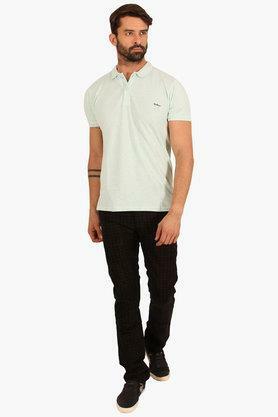 Club it with a pair of shorts and loafers to be ready for any casual hangout with friends.